Vinodiversity asks why does this winery always sell out? Why does this new winery sell out each year? Jo Marsh decided to start making wine under her own label just a couple of years ago. But she ran into an unexpected problem. She couldn't keep up with the demand. I think it is a combination of all of the above, but you can find out for yourself. 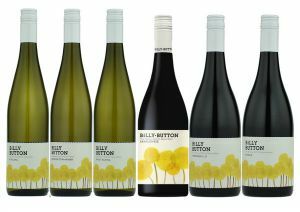 Vinodiversity's wine merchant partner has put together a mixed six pack of 2015 whites and 2014 reds. The usual deal - good prices, reasonable delivery charges or free for larger orders, and free returns policy if you don't like the wine. Don't like wildflowers on you wine label? There are lots of other choices for you at our wine merchant. I will be unable to ship Vinodiversity Products - De Long Varietal Chart and maps of California, France , Germany, Italy, the Iberian Peninsula and South America - between 3 September and 22 September this year. So if you want some of these products, perhaps for Fathers' Day gift, then it is now time to order or drop a hint to the kids. I'm working on a new wine publication. Pretty exciting. I'll tell you about it in my next newsletter.